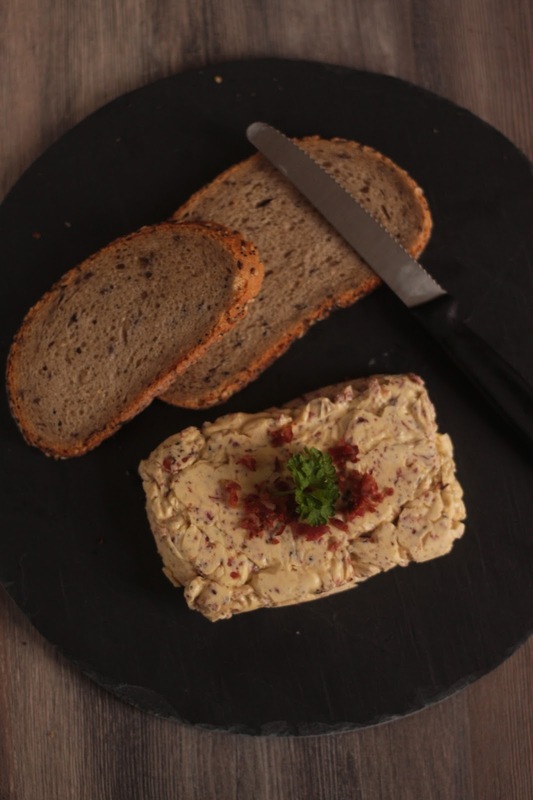 You're not dreaming, bacon butter is reality! You know what your pancakes really need? 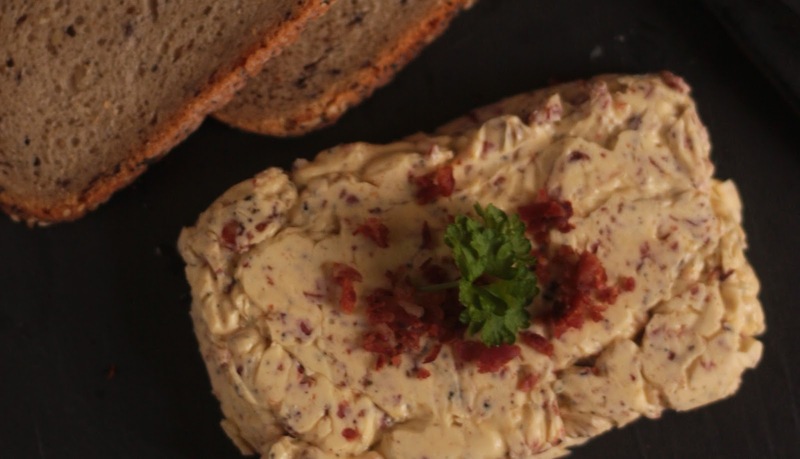 Bacon butter - and it's pretty easy to make. Goes perfect with our Texas Pancake Sandwich. Also makes a perfect and cost effective present for any bacon enthusiast. For this recipe let the butter sit outside of the fridge to get it all smooth and nice to work with. Fry some bacon and let it cool down. Get 250g of butter and put it in the big bowl. Take 5 slices of bacon (If you already ate one...well there's less to put in the butter! Damn you bacon!) give the stripes a very fine chop. Mix it with the butter with a fork until the mixture is even. You can also add some garlic, pepper or parsley - they will only make the butter ore awesome. When you are finished put the butter in a plastic box (tupperware is perfect) and place it in the fridge - the low temperature will make the butter solid again. And you're already done. It's a nice spread to put on classic pancakes with maple syrup, on sandwiches, in tomato sauce or with a fried egg and a piece of bread. We will also not judge if you just eat the bacon butter without anything.